Desirable 1920s Double-Heart Cufflinks [SH7019] - £225.00 : loveVintageDiamonds.com, Your Vintage Diamond Dreams Come True! 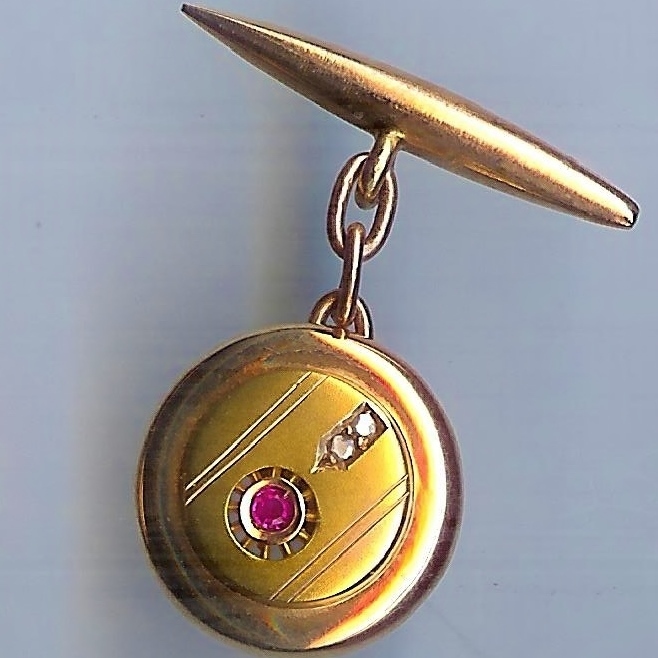 These 1920s cufflinks are going to finish off any modern man's suit in classical style. They are double-heart and chain semi-hollow cufflinks and are 9ct rose gold; these are certainly for a gentleman with very good taste, and ladies' heads will turn!